A lot of people ask us how we make our Del’s Shandy taste so refreshingly different. Experts say that the techniques needed to perfectly balance our classic Lager and Del’s all-natural lemonade are a bit… unconventional, but we’re all right with that. 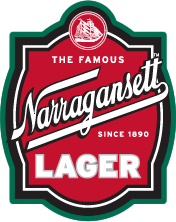 OK, while we’re not going to tell you how it’s really made, we will say that both Narragansett Lager and Del’s Frozen Lemonade a little experience with balance and refreshment. Nearly 200 combined years of experience in fact. This year fellow Rhode Island icon Del’s Lemonade is celebrating their 70th Anniversary, we’ll be turning 128, and our Del’s Shandy is celebrating another summer on shelves at your local store. You may have (should have) had the Shandy, and perhaps you’ve even had a classic Del’s Lemonade, but if not let us tell you a little about it. This thirst-quenching Summer classic is collaboration between two longstanding Rhode Island institutions: Del’s Frozen Lemonade and yours truly. The first Del’s Frozen Lemonade stand opened in Rhode Island in 1948 using an old family recipe brought over from Italy. Since then, both ‘Gansett and Del’s Lemonade have refreshed countless beachgoers around New England and beyond. As for us? It’s a pretty long story filled with people like Dr. Seuss, Curt Gowdy, and Jacob Wirth. 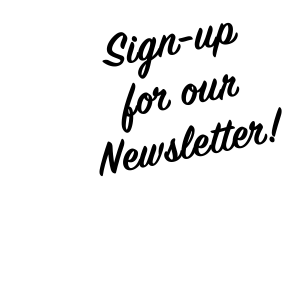 You can read up on our history by clicking HERE. 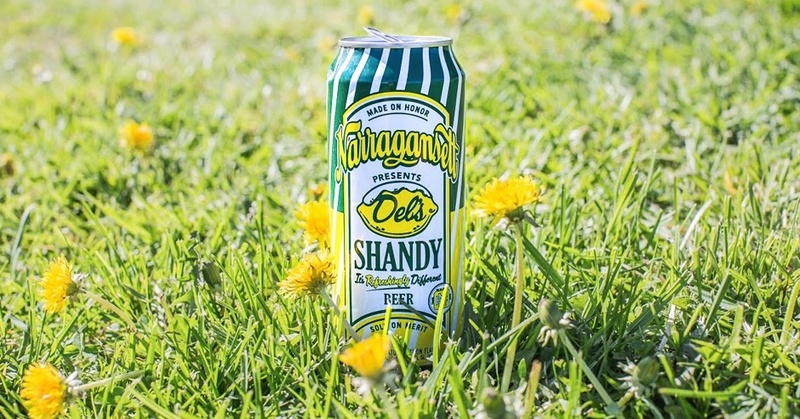 The Del’s Shandy brings all natural lemons together with our award winning Lager and just a touch of sugar together for a shandy that tastes as refreshing as a New England Summer.